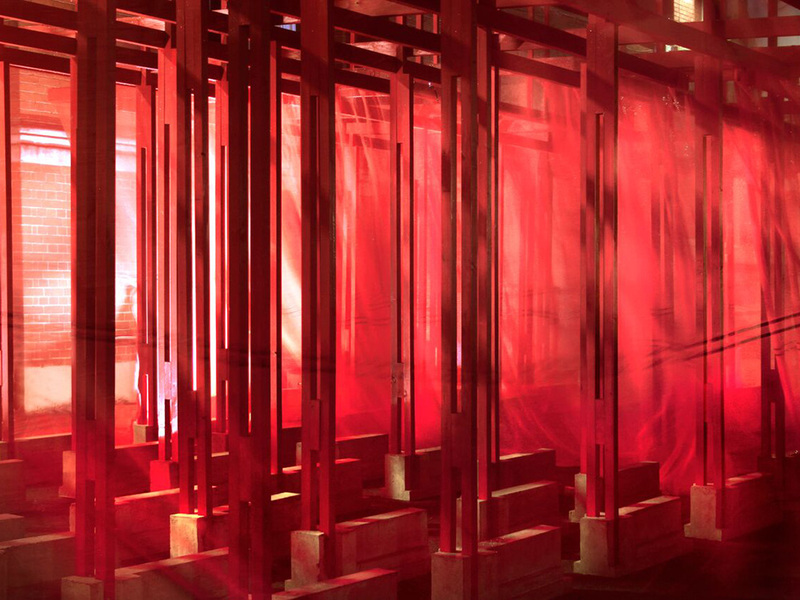 For a few weeks at the end of the summer, Theo Petrohilos, Ben Hayes and Kaowen Ho of Unknown Works set up camp in the Blackhorse Workshop yard to start work on a pavilion which would form the gateway installation to 100% Design at the London Design Festival. 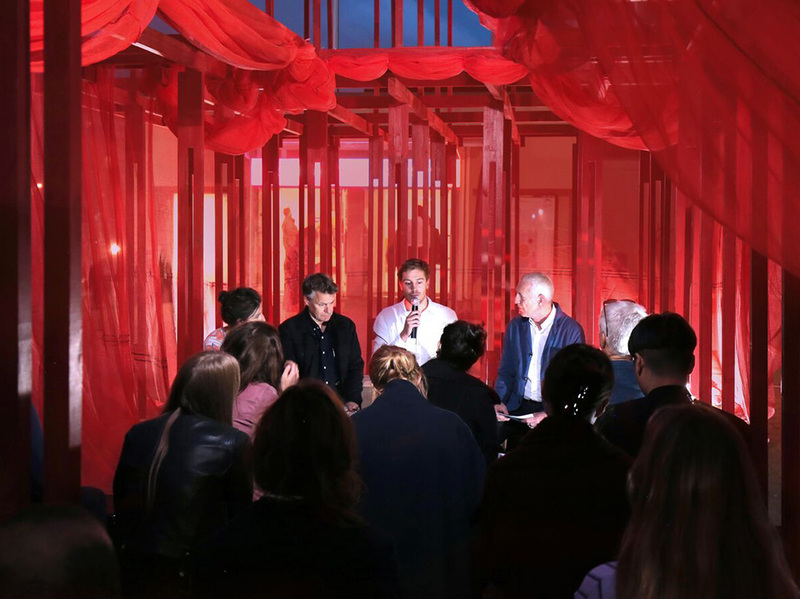 Made in collaboration with Hildrey Studio, the pavilion called Space Gap,was used to host a programme of events discussing the disparity of space allocation in London whilst addressing the social divide created by the current housing crisis. 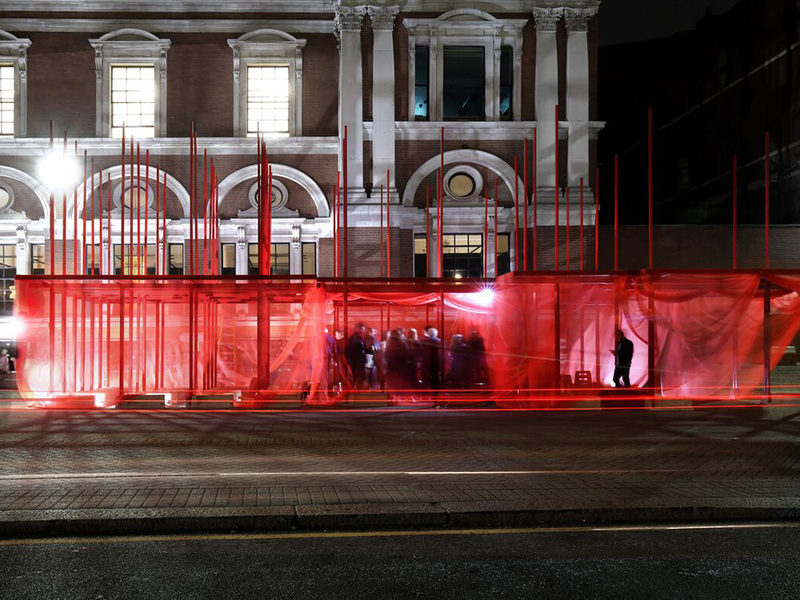 The size and volume of the pavilion was a representation of the cramped conditions in social housing within the city as well as a physical portrayal of the void left by the estimated 20,000 empty homes in London. 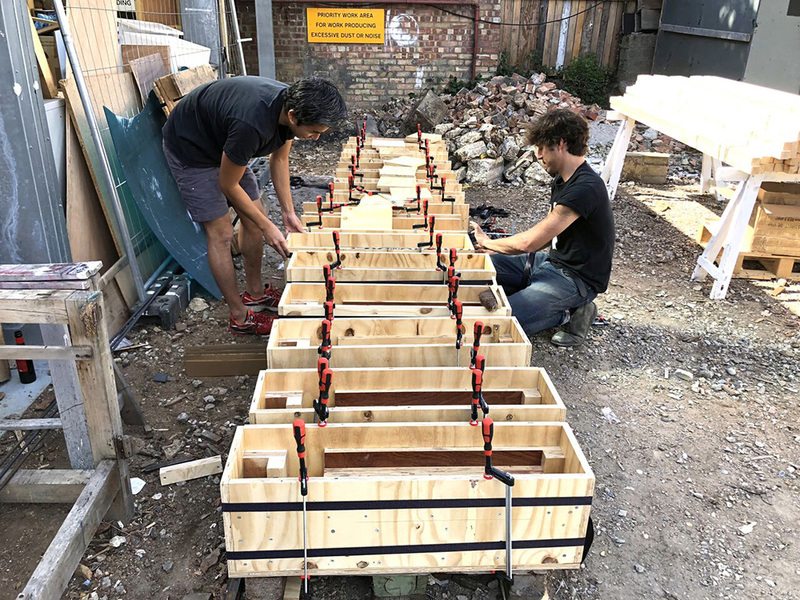 Theo came to the workshop to make the prototype for one of the 150 timber posts that would form the main structure, these would hold cast concrete seats while also acting as bases for the structure over which sat a red mesh scaffold fabric. Theo returned with Kaowen and Ben to start the build using the workshop to construct the posts and the casts for the concrete. The last of the summer days were spent in the Blackhorse yard, they set up a makeshift camp and production area for the team as they set to work on the many casts needed for the construction. 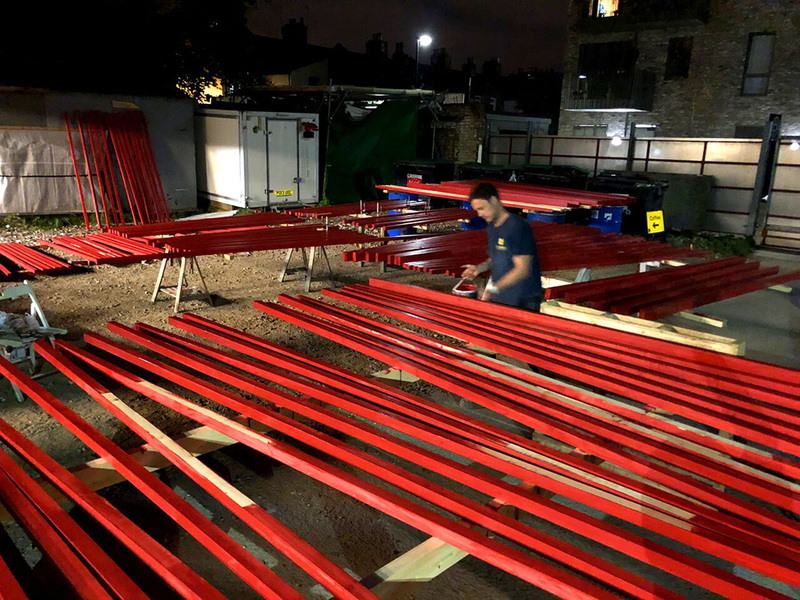 As days turned to nights, the team worked to the very last minute to complete all the elements, bringing in some extra hands to paint the now recognisable red posts of the pavilion. Theo and Ben’s lunches at their workbench became a familiar sight as they took a brief rest from the mammoth task. The hard graft of the team paid off to produce a striking structure against the backdrop of the imposing Victorian halls of Olympia. The starkness of the posts juxtaposed with the softness of the mesh created a sense of emptiness while also feeling like a safe haven when filled with people and permeated with light. 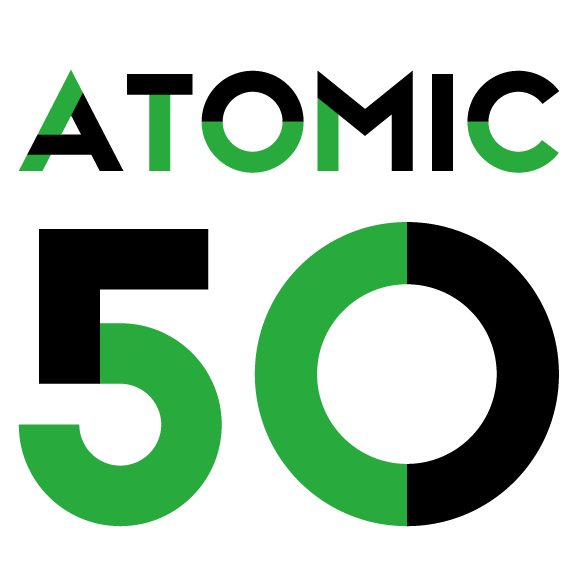 The workshop were very happy to support the team and project and look forward to working with Unknown Works in the future.